They are available framed and unframed. Each tree tile is numbered, dated, and signed by Anita Tosten. Each one also has a certificate of authenticity with the tile number, size, and the following inspirational message. Trees are pruned by sun, water, wind, and humans. Yet, they continue to emit oxygen reminding us that each living thing has worth regardless of how life has shaped it. Living trees are interpreted on these tiles. 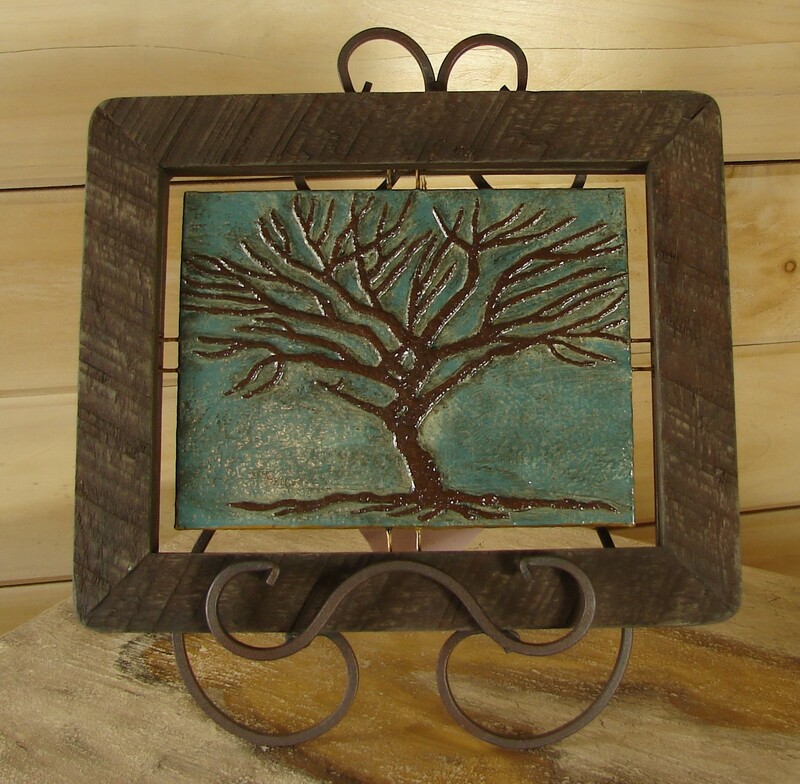 The tree tiles float with in a rough- cut lumber frame and are fashioned of post consumer paper and fabric. Post consumer materials remind us of life’s value regardless of size and form. Our lives prune us, and these trees and post consumer materials express how we may continue to share our value with others.